A Golden Hills gem! 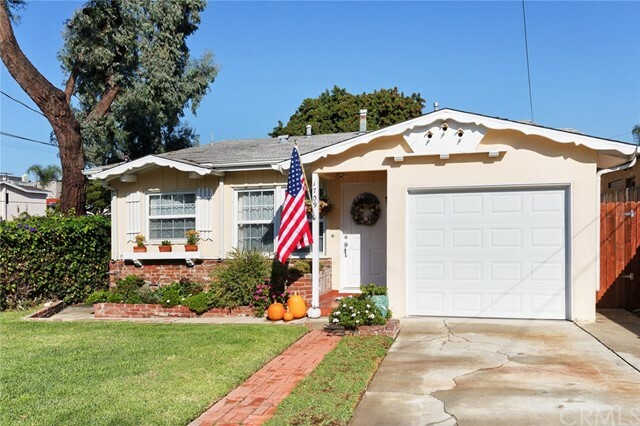 Perfectly situated on a flat, 3750 sq ft lot, this delightful, move-in-ready, 3-bedroom home is minutes from top-rated schools and just a few blocks to Hermosa Beach. Newly renovated inside and out, it features gorgeous hardwood floors throughout; a bright, modern kitchen with sparkling Quartz counters, crown molding, top-of-the-line appliances, breakfast bar, recessed lighting; and updated bathrooms. The open kitchen flows to the separate pantry area which offers additional storage with large drawers and a custom wine rack. You will love the sunny, south-facing front yard and the spacious backyard will be your favorite place for entertaining and dining al fresco! Complete with an outdoor spa for 6, drought-tolerant garden, storage shed, attached 1 car garage and wonderful curb appeal, this home has it all. Come see this cozy, cheerful home for yourself—you’re sure to fall in love.